Plant Border Applications are still being taken contact the Show Manager at mig@migkimpton.com. 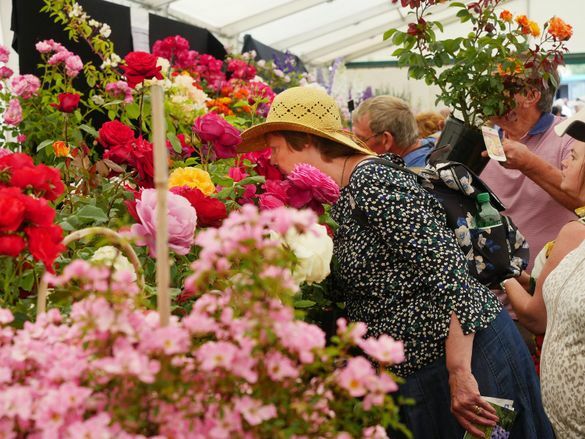 Blenheim Palace Flower Show returns for its 7thyear in June, 2019. This wonderful three day show celebrates the very best of gardening, home and lifestyle. It is packed with inspiration, flowers and plants and everything you need for your home and garden. The show is a celebration of lifestyle and the great outdoors. The Grand Floral Pavilion forms the centre of this year’s show. Packed with exhibitors showcasing the UK’s finest nurseries and plantsman competing for the prestigious Best in Show Award. Aztec Shows began in 1995 as a family run business and during the past years our shows have attracted well over a million visitors. With events in Cambridgeshire, Essex, Norfolk, Nottinghamshire, Suffolk, Newbury and now Oxfordshire, Aztec have firmly established themselves as one of the Country’s leading public consumer show organisers.